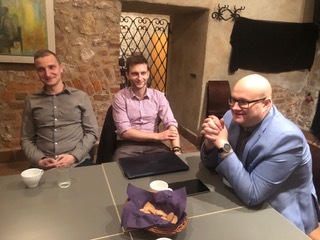 On 26.03.2019, another meeting of the VR, AR and MR platforms operating under SPCleantech took place. 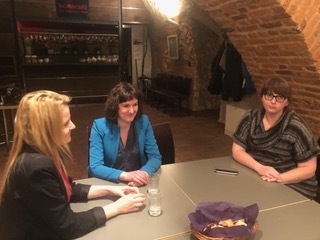 This time, our special guest was the president of Park Alvernia Planet, Magdalena Sroka earlier Vice President of Krakow responsible for tourism and director of the Polish Institute of Film. 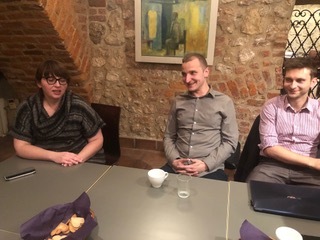 During the meeting, Magdalena declared her membership in SPCleantech and close cooperation with cluster members who are already working for clients from all over the world and will be able to produce high quality VR, AR and MR content for the planned amusement park near Krakow. There are plans to create 13 stellar parks, and Alvernia Planet is the first stage of this project. Twelve additional locations will be carefully selected all over the world and will operate on a franchise basis. Undoubtedly, the great asset of the planned Alvernia Planet Park is its unique location in Poland. The park is located halfway along the A4 motorway between Krakow and Katowice with two airports within a radius of 80 km and a potential of 8 million inhabitants within a 100 km radius of the park. This is a great location not only because of the large tourist traffic, especially at Krakow’s Balice airport and in Krakow itself. In southern Poland there are many specialized entities, companies and companies creating VR, AR and MR solutions and content. Park Alvernia Planet is to be a source of intense, multi-sensory, immersive experiences. Visitors will explore the star town of space mission and foreign universes. 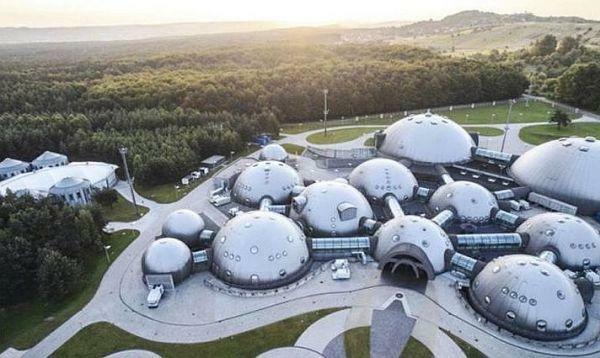 Alvernia Planet is the name of the project, which aims to transform the futuristic complex located in the village of Nieporaz in the municipality of Alwernia into a great, unique park of entertainment and education. It is to be based on the most modern solutions, mainly virtual and augmented reality, as well as to use holograms, optical art, illusion of light and other innovative audiovisual tools. It will be a place that will bring together people and companies related to tomorrow’s technologies. Virtual and augmented reality (VR / AR) is no longer science fiction, but technologies that are rapidly developing and will soon be part of everyday life, and the use of them will become as obvious as today’s use of the Internet. Experts have no doubt that the AR and VR market has a bright future ahead, and Gartner analysts say that they are key technologies of the coming years and they exchange them next to artificial intelligence and the Internet of Things. Both technologies have the potential to improve the quality of life, work and play, blurring the boundaries between virtual and physical worlds. The value of the virtual market and augmented reality is growing at an impressive pace. According to Goldman Sachs’ forecasts for eight years, i.e. in 2025, the value of the VR market will increase to USD 35 billion (over USD 2 billion in 2017). Computer games will be responsible for almost one third of this market, followed by segment of live events (events, fairs, mass events). The AR market is also growing dynamically, ie the augmented reality. Perspectives hidden in virtual technologies and augmented reality are perceived by international giants such as Apple (introduced augmented reality in iOS11, took over Prime Sense for 360 million dollars – creator of 3D sensors), Faceboook (invested $ 2 billion in the purchase of Oculus, producer of VR goggles) or Google (he bought Magic Leap for $ 542 million – the manufacturer of AR devices). Other potentates, including Sony, Samsung, Microsoft, Amazon. Virtual and augmented reality are technologies that are used not only in the entertainment and service industry, but also in science, medicine, real estate, logistics, marketing or tourism. Undoubtedly, the most important source of inspiration for this idea is the place itself – the unusual, delightful, unique architecture of the former Alvernia Studios was created by the idealist genius, it impresses with its originality, cohesion, details and momentum. The identity of this place is extremely strong and has always aroused great interest of all who have had any contact with this object. Hence the idea of making it available, respecting its history and vision that brought it to life. 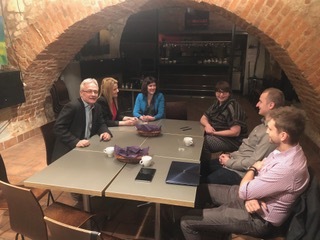 The project is being carried out by the joint-stock company Gremi Media, the leading media group in Poland, Grzegorz Hajdarowicz.